Two-thirds of the world’s population are connected by mobile devices, according to data from GSMA. As smartphones continue to drive new mobile subscriptions, the number of mobile phone users in the world is expected to pass the five billion mark in 2019. With those statistics in mind, the average smartphone user has 26 apps installed, and each one comes with some sort of privacy or security risk. If you want to download a game, there’s no reason that it needs to have access to your contacts, and a traffic app doesn’t need to be able to send email on your behalf. The security risks in the thousands upon thousands of consumer apps make it highly likely that you too have a few privacy problems floating around your smartphone. While systems have been put in place to notify users about the permissions an app is requesting and allowing them to block or allow access to specific functions, it still puts too much stress on the user since many people aren’t aware these controls even exist, let alone how to use them. Developers really need to build security and privacy into their apps from the get go instead of as an afterthought. They should also be aware of how their apps access data and design them to be more secure. Smartphones make for great pocket assistants. They’re all equipped with sensors that can detect location, weather, light, traffic patterns and other things you may not even be aware of. Since your smartphone is typically by your side throughout the day, it is likely always on and has access to all of your personal information. A smartphone’s motions can reveal what a user is typing. Or it can disclose your location. And it can do all of this without your knowledge. This essentially turns your phone into a powerful spy, making your privacy more vulnerable to hackers. In this slew of concerns, there are still other smartphone security issues to take into consideration. There are vulnerabilities in mobile payment services as hackers look to bypass security measures and steal credit card information via mobile payment apps. There’s also the act of mobile browser hijacking as hackers gain total control of a device by exploiting browser vulnerabilities to access your personal data. Lastly, there’s the issue of connecting to an unsecured wi-fi network. If you unknowingly have your phone set to auto-connect, your data could be seen by others through insecure apps or web-browsing. 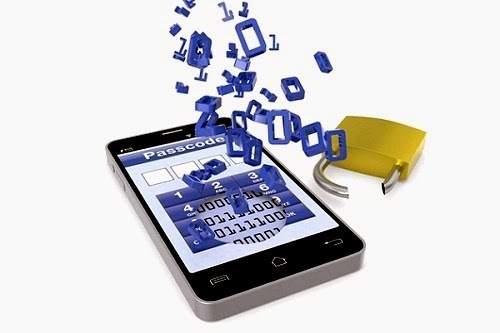 With so much activity and online purchases occurring on mobile phones, the security of mobile data is something that needs to be addressed. People need to take the proper precautions to protect themselves. You can easily start by updating the location sharing information in the settings of your phone. The safest option is to completely disable the location function of your phone, but this isn’t realistic for most of us. It is important to know which of your apps is using your location and when they are doing it. And please, set up the password security on your mobile device. If your phone becomes lost or stolen and doesn’t have an entry password, anyone that picks it up will have unrestricted access. Smartphones have changed the world in the way we communicate, stay connected and do business with each other. As mobile devices continue to influence our culture, we need to further educate ourselves on the risks and improve security measures. © 2018 Thierry Levasseur. ALL RIGHTS RESERVED.